Yeah, this is is a very ominous trailer and for good reason. Most people do not know that the original movie wasn't the campy and cutesy "dudes in a rubber suit" type of movie like the later entries in the series were. I was particularly afraid of the soldiers jumping out of the airplane as it was reminiscent of the terrible TRANSFORMERS: DARK OF THE MOON. The difference here is that there is appears to be drama and tension to this scene instead of being an Army commercial. The rest of the trailer looks great, giving us a glimpse of the other characters. I am a little worried that there are so many human characters, but I remain faithful. The Godzilla design looks like a great update on the original and is actually similar original and some of the newer designs like in the Toho Millenium series. Oh and I can't be the only one that got chills after hearing the roar, right? Tell us what you think of the trailer below in the comments! I'm not worried about the human characters when you have these actors on the roster. 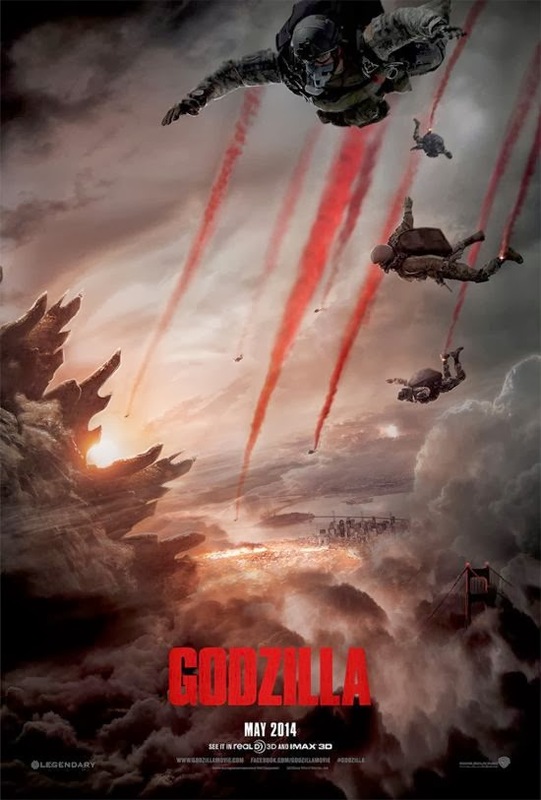 Human characters can elevate the material far beyond the Toho films, which are entertaining and beloved, but they don't seek nor do they achieve what Gareth Edwards is striving for based on this trailer, which is a Nolan-esque cinema verite treatment of Godzilla. @TheJackSack Yeah, I can see what you're saying. I just know that in most of these type of movies the human characters can detract. In the Toho movies it seems that the best ones are the ones that use humans to tell an interesting story and to have Godzilla as a symbol and it seems like Edwards is trying to do this. I'm overall much more positive for this movie since there's so much that they seem to have gotten right.